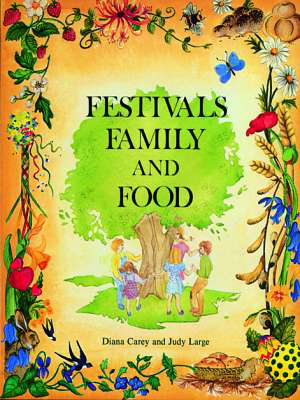 The publishers describe the book in the following terms: ”This is a resource book for exploring the festivals – those ”feast days“ scattered round the year which children love celebrating . . . Even though Christmas comes but once a year, there are at least eighteen other festivals to celebrate! Each festival, such as Candlemas, Whitsun or Midsummer, has its own chapter. There are over 650 songs to sing, games for fun . . . stories, poems and things to do – with over 200 illustrations . . . ” – Along with Rhythms, Rhymes, Games and Songs and the two collections of Pentatonic Songs, this book will form part of the basic equipment of every teacher of English in the Lower School.